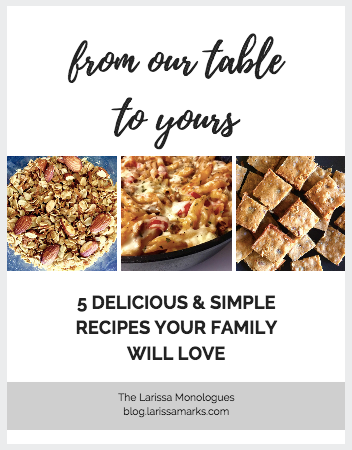 There are a handful of meals that are regulars in our family’s meal rotation. 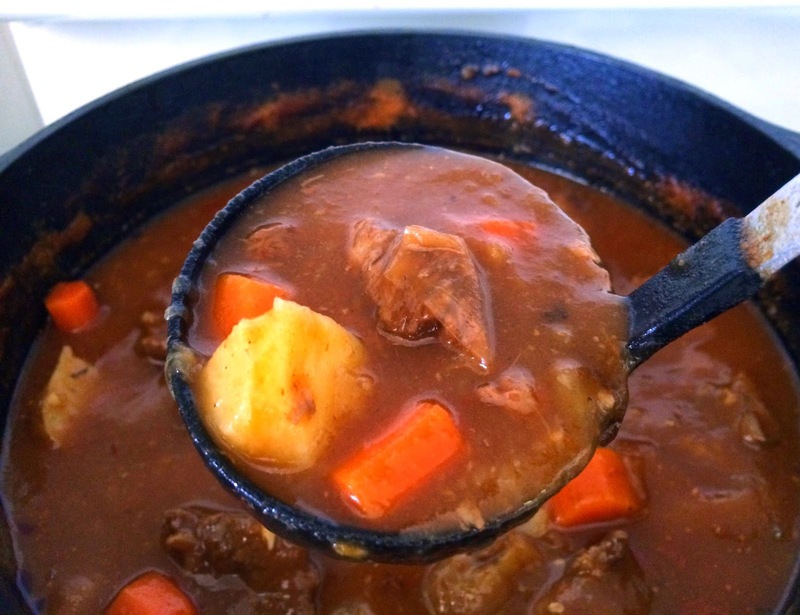 This beef stew is one that we come back to again and again. It is hearty, easy to make in a large batch, and is so good as leftovers. I’ve never altered the recipe (which is rare for me) because it’s just that good as it is. The style of this beef stew is pretty straightforward, with chunks of carrots, potatoes, and meat simmered in a tomato base. For the best cut of meat, skip the pre-cut “stew meat,” and buy a chuck roast and cut it yourself. I make mine in my beloved cast iron dutch oven, but a regular large pot will work too. Serve over rice or with cornbread. In a large pot, heat oil over medium-high heat and sear meat for approximately 5 minutes, or util brown. Lightly salt and pepper meat while cooking. Add garlic and saute a few minutes. Add wine and cook for another 3-5 minutes. Add onions and cook for a few minutes. Cover the meat with water. Add spices, bay leaves, and tomato paste; bring to a boil. Lower heat to medium-low, cover, and cook for approximately 1 hour. Add carrots and cook for about 10 minutes. Add potatoes, and continue cooking until vegetables are tender. Thicken with cornstarch mixture, and simmer for a few minutes.